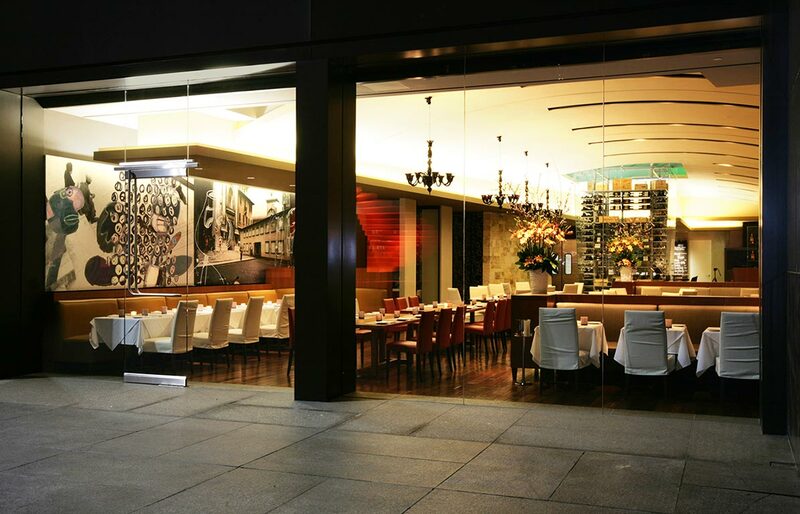 Drago Centro, an Italian restaurant located in downtown Los Angeles, incorporates the rich experience of the client’s Italy into the modern urban setting of downtown Los Angeles. The space was inspired by the urban design of the Rialto Bridge plaza and adjacent market place in Venice and the colors were inspired by artists, Giorgio de Chirico and Giorgio Morandi. The restaurant was designed to offer a broad variety of dining experiences, from intimate tables and booths to large, custom designed family style tables. 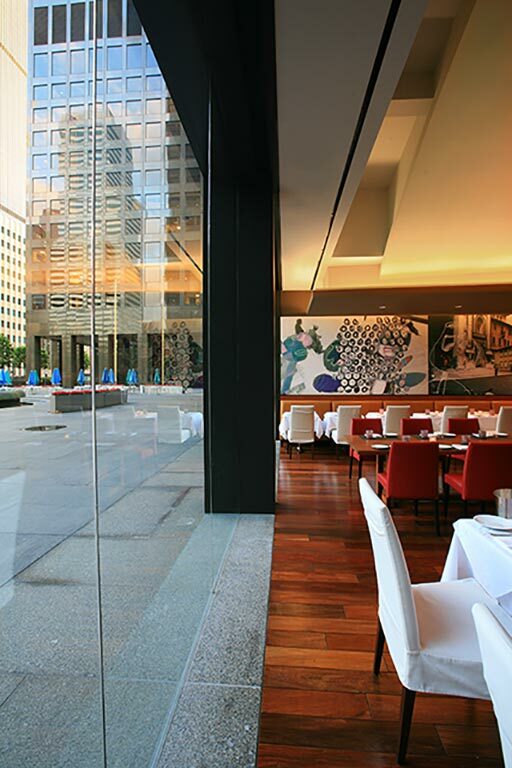 There are exquisite sightlines throughout the restaurant and from wherever you sit. The private dining room with its stone walls can seat up to sixteen people. A large outdoor lounge and dining area under a dramatic canopy add to the charm of the space. 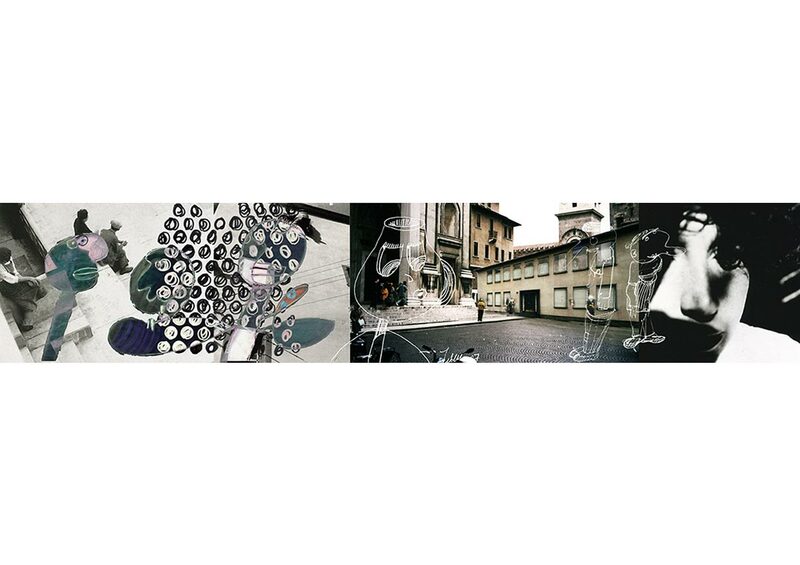 The mural by Felderman Keatinge & Associates, with its sketches and photographs deals with memory, the photographs being reminiscent of an older time. Accessed from the outdoor lounge, and separate from the building, is an old bank vault that has been transformed into a demonstration kitchen that functions as a venue for private events, demonstration dining and wine tastings. The food, atmosphere and architecture create a dynamic and memorable experience with a play of the dramatic intertwining the urban, memories and warmth of Italy.